InterContinental Hotels Group (IHG) has taken over independent boutique hotel, food and beverage operator Kimpton Hotels & Restaurants for $430m (£273.6m). Kimpton is the largest independent boutique hotel operator and restaurant company in the US, with 62 properties in 28 cities. The San Francisco-based chain also has 16 new hotels in the pipeline and operates 71 hotel-based restaurants and bars. The acquisition will allow IHG to capitalise on the fast-growing boutique market and "fits perfectly" into the IHG brand family said IHG's chief executive officer Richard Solomons, complementing the Hotel Indigo and EVEN Hotels brands. "The acquisition is another step in IHG’s well-established asset-light strategy of investing in high-quality growth, building on a strong track record of developing iconic global brands. We will use our scale, network of owner relationships, and powerful digital platforms to accelerate Kimpton’s growth both within the US and internationally," he explained. The Kimpton team will continue to be led by chief operating officer Mike DeFrino. 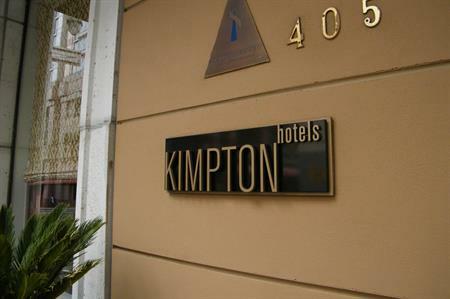 Kimpton's chief executive officer, Mike Depatie, said the Kimpton brand has "enormous potential" for growth, both in its home market of the US and globally, especially in Europe and Asia where there is strong demand for boutique brands. "IHG is the ideal partner for Kimpton and has absolutely the right experience and specialist capabilities to help the business move to the next phase of rapid growth. Kimpton and IHG have many things in common, not least our shared values and approach to building brands. As an owner of a significant number of Kimpton hotels through our real estate investment funds, I am committed to developing additional Kimpton hotels and I look forward to seeing Kimpton go from strength to strength as part of IHG."